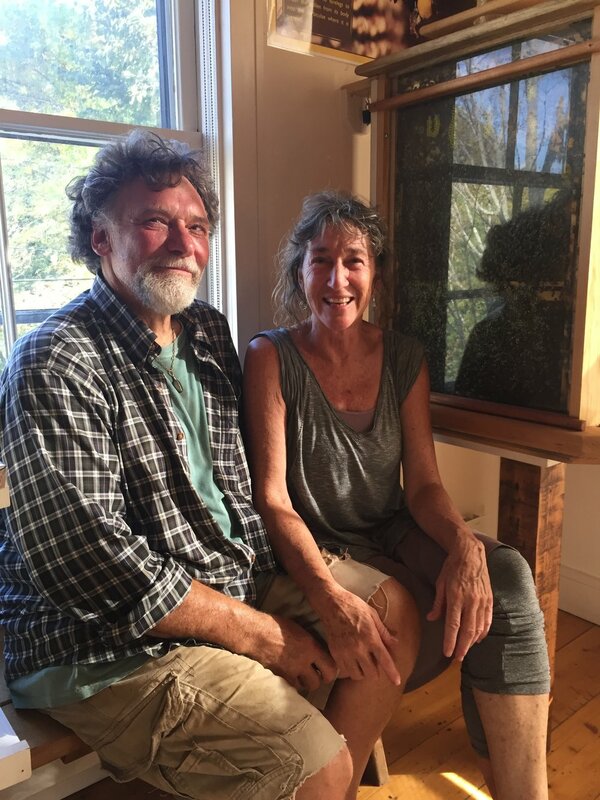 Tom Goldschmid and Kathy Leo, our volunteer beekeeping couple, stopped by today to check out our observational bee hive. The bees are still working hard bringing in pollen, making honey and keeping the hive cool on this hot day. This colony is thriving! Stop by to take a look during the Fairy House Festival! Which raffle basket will you try to snag at the Fairy House Festival?